Getting yourself guaranteed by another person is just one of the few ways to acquire a loan despite the bad credit. It works like secured loans, but instead of giving collateral, you are providing another person who will vouch and guarantee the loan for you. If you often don’t get the approval you need from traditional banks because of your bad credit score or no credit history at all; you might consider this loan. Below are some of the things you need to know about these loans. From the name itself, a guarantor loan is a type of loan that requires a second person who will act as the guarantor. It is unsecured. Thus there’s no need to provide collateral such as a house, car, stocks, jewellery, etc. The only security is the guarantor’s signature on a contract stating that he will settle the loan and any additional charges in case the borrower defaulted on the loan. 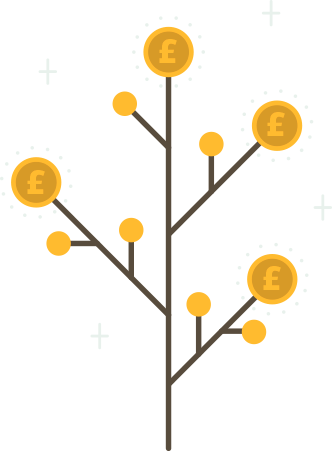 Once approved, you may borrow an amount ranging from £1,000 to £15,000, which is payable between 1 year to 7 years. Using A Trust-Based System The amount offered by the loans provider is bigger than the usual short-term loan but instead of asking for an asset to secure the loan, the lender uses a trust-based system. It is not a new concept and has been used by banks and traditional lending facilities for a long time. However, some lenders may ask for the guarantor’s collateral as an added security against the loan. Mortgage companies and landlords are the ones who often ask for guarantors. If you have a bad credit history, you might consider guaranteed paydayloans; however, is it right for you? The investment is available to borrowers who are having a hard time getting a loan through traditional means – may it be because of a poor credit score, insufficient requirement, or no credit history at all. Despite the poor credit rating, the borrower may still ask for a higher amount, which, by the way, is almost impossible if your credit score is low. Who Can Act As The Guarantor? As long as they are not linked to you financially, he can be your guarantor providing that he can meet the lender’s criteria. Usually, spouses cannot act as your guarantor; however, you can use your parent, another family member, friend, colleague, etc. To be accepted, the guarantor should be 21 years of age and above. He also needs to have an excellent credit history and a UK homeowner and resident. The loans do not ask for any security but having a property under the guarantor’s name will add a positive impression, thus increasing your chance to get approved. There will be a credit check when applying as a guarantor – so they need to provide valid IDs, bank statements, and bank details. Breaking Down The So-Called “Guarantor” The role of the guarantor, apart from being a cosigner, is to repay someone else’s credit if the principal borrower chooses to default on his loan obligation. They may be asked to pledge their or asset or services if the original loan seeker fails to fulfil his duty. Most of the time, a high income is necessary to prove that he can handle the entire loan should the need arises. After the cosigner signed up the agreement, his responsibility will start and end only when the repayment is complete. Traditionally, a guarantor is a third party; however, there will be times when the guarantor is the same person who is borrowing the loan. In this case, he guarantees the loan by pledging any asset he owns. Aside from ensuring the investment, the role of the guarantor is to confirm that the borrower can indeed settle the debt promptly. He is also necessary to verify the identity of the loan seeker. For this reason, individuals or businesses that are having difficulty applying for a loan rely on guarantors. For instance, a particular person with a comparatively weak credit remark who is looking for a new line of credit to cover an emergency expense may be required by the bank to find a cosigner. Before approving his loan application, he needs to provide an eligible guarantor. Some examples of debts where a guarantor may be required are mortgages, car loans, student loans, and business loans. These loans may ask for another person to assume the credit liability in case the principal debtor chooses to default. Guarantors With Security In some cases, a guarantor may guarantee the loan by putting up collateral. If the borrower is responsible enough for repaying the loan on time and never defaulting on it, the cosigner is not required to take any action or owe any cash to the loan provider. However, in case the borrower failed to keep up with his repayments, the guarantor will take place on the responsibility. Apart from the monthly loan amount, the guarantor will also cover the interest rate and additional charges obtained from late or missed payments, etc. If the cosigner cannot commit to his responsibilities, his assets that are available as security on the market. The money acquired from selling the goods will be used to cover the remaining debt. Limited Guarantor Vs Unlimited Guarantor When it comes to financial responsibilities, there are two types of guarantors – the limited and unlimited one. A limited guarantor has a limited liability towards the loan. He can guarantee the credit only for a specified period. It means that when the particular time is up, the borrower is entirely responsible for the credit. A limited guarantor may also agree to repay a specific portion of the principal amount, interest rate, and charges. It means that he is not obligated to settle the entire amount in the event of default. Meanwhile, an unlimited guarantor is liable for repaying the whole amount, including the fees, and his responsibility is active from the beginning up to the end of the loan. The loans direct lender is beneficial when you have a weak credit remark or have no credit history at all. However, their role doesn’t stop there. Guarantor loans are also used by first-time property renters when they are dealing with a property manager or a landlord. They use a lease guarantor to guarantee the loan. In case the principal borrower fails to continue his rent or breaks away from the contract, the cosigner will assume the obligation for the repayments until the lease is complete or the sub-lease agreement applies to someone else. It is also beneficial for students who want to borrow student loans. They may use their parents or relatives to guarantee the credit for their education. The same thing will happen in the event of late payments or default; the guarantor will take the responsibility of repaying the loan until the entire amount is complete. Being this type of loans guarantor is not an easy task; in case they have defaulted on the loan, their credit history will be affected negatively. In the future, creating a new line of credit will be impossible. These two loans can be confusing as two similar things; however, these loan options are different. A joint investment will require two people to sign a loan, but these two people have both rights towards the mortgage. They can use the amount as they please and the property that they surrender should be under their name. When it comes to repayment, both of them will share the responsibility of repaying the loan. Meanwhile, these loans have different terms. Why does the borrower need a guarantor? How responsible and capable is the borrower to handle the loan? What is their purpose in applying for a loan? Will you be able to repay the loan in case the borrower defaulted? What would you list as collateral? Are you willing to put the collateral at risk in case you defaulted on the loan? If you have any doubts, it’s best to seek legal advice before agreeing with the borrower. A guarantor loan does not only put collateral at risk but the relationship you have with your guarantor. It is one of the reasons why a borrower turns away from this kind of loan. If you’re one of them, you may be looking for no guarantor alternatives, so there’s no need to bring another person as a cosigner. Below are some of the options you can have, regardless of your credit rating. Some products are even designed to help those who have weak credit remark. But, take note that these loans should only be used as last resorts since they are too expensive. Ideally, these loans options are for emergency purposes like home or car repairs, medical bills, or debt consolidation. Shopping or travelling is not for emergency expenses. Payday loans are the closest alternatives in the UK. The credit is immensely popular because of its nature. It is accessible and quick to acquire; however, the repayment period takes place in just 2-4 weeks only. The amount borrowed is repaid in one lump sum, on your next payday, thus the name of the loan. The loan works almost the same as payday loans; however, since it is under those non-profit organisations, the interest rate is less expensive. There are some specific requirements though, such as the nature of your work. You need to be living in a particular income bracket like a teacher, nurse, postman, policeman, etc. Public sector employees are also qualified to get the loan. Another way of acquiring money without worrying about expensive interest rates is borrowing money from the people you know. You may borrow from them and repay the money as it is or set up a form of contract that contains its due date and the interest rate applied (if possible). Ideally, it’s essential to have your emergency savings which are worthy of your 3-month monthly salary. In case you lost your job or has a medical bill to attend, your own earning may help you. With the technology nowadays, acquiring a loan is easy and fast. All you have to do is use a working laptop (or even a mobile device) and a stable Internet connection. Look for a potential lender and fill out the provided online application form that will ask for your personal and financial information. Some lenders may request for documents, and you may fax it quickly at home or in an office. After submitting, a representative may call to verify the details you have given. If you’re approved, you can have the money you need in as fast as three days or even after an hour.